A native of Newark, N.J., Burns was born in 1927 and grew up in Lowell, Mass. After service in the U.S. Coast Guard, he was graduated from Northeastern University in 1951 and earned master’s and doctoral degrees in history from Harvard University in 1953 and 1961, respectively. Burns joined the Notre Dame history faculty in 1957, teaching courses in Irish and British history and soon enjoying a reputation not only as a popular teacher and faculty colleague, but also as a prominent scholar in his field. In addition to writing numerous articles in scholarly publications, he was the author of a two-volume study of Irish Parliamentary Politics in the Eighteenth Century and Being Catholic, Being American: The Notre Dame Story, a massive two-volume history of Notre Dame from its foundation to 1952. Thomas J. Schlereth, professor of American studies and a former undergraduate student at Notre Dame, knew Burns as a teacher, mentor and colleague, remembering him as a teacher and mentor who “really cared about and kept in touch with his students,” and as a colleague possessed of an inclination particularly fitting for a historian. 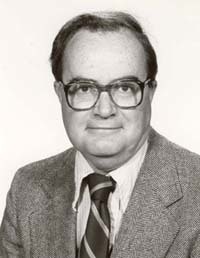 Among those duties beyond his teaching and scholarship, Burns served the University in a variety of administrative roles, serving as acting editor of its Review of Politics, Notre Dame’s journal of political philosophy, from 1967 to 1968; directing a year-long NDEA program in 1967 to train high school history teachers; and serving as dean of Notre Dame’s summer session from 1969 to 1971, as associate dean of the College of Arts and Letters from 1971 to 1981 and as acting dean from 1981 to 1983. Originally published at newsinfo.nd.edu on February 09, 2010.